It’s Holiday time! Which means searching out that perfect gift for friends and family. I have a lot of beauty enthusiasts on my list this year and as a beauty blogger I definitely feel the pressure to make it something good. My fail proof gift approach? Choose something I would love to receive myself. This year, I am giving the gift of smooth skin with Flash&Go. A great safe/effective hair removal system that will be sure to delight the beauty gadget fans on your gift list! 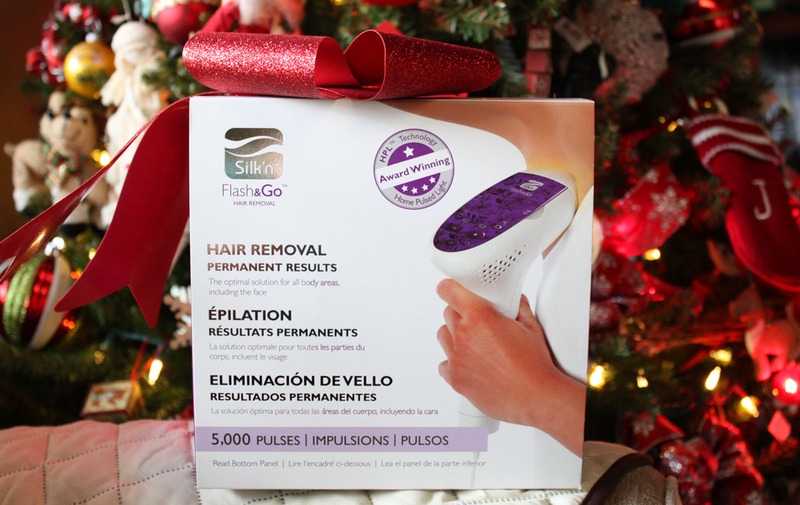 Flash&Go puts an end to expensive hair removal leading to permanent hair removal so no more waxing, shaving, or plucking. What girl doesn't want to shave and wax less? Sign me up! Having an at-home home method that is safe, easy, and effective is a great alternative to visiting expensive med spas. This is a gift that will save both you and your friends time and money all year long. 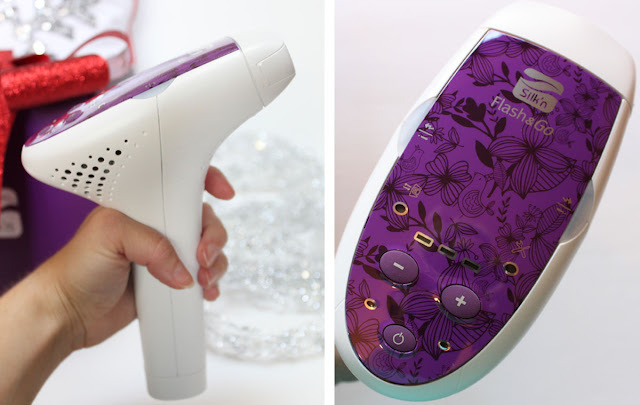 Flash&Go is available both in store and online at Bed Bath and Beyond and Kohl’s. I found mine at Kohl's in the Cosmetics department. After you purchase in store or online, go to keepongifting.com and upload a copy of your receipt. You will then receive a $25 gift card to the retailer of your choice and be entered to win a trip for two to Aruba! This really is the gift that keeps on giving because you can redeem this gift card up to 3 times for a total of $75 to spend at Bed Bath and Beyond or Kohl’s. Using light technology Flash&Go is easy to use, effective, and safe even on the most sensitive skin. Make sure you are a good candidate for treatment first, darker pigmented skin will need to avoid it. It works best for women with lighter skin with brown hair. Flash&Go can be used for the whole body and face (from the cheekbone down). Getting started was simple. Just plug in the Flash&Go, power it on, and select your power level with the + button. Begin on the lowest energy level and move up if you do not experience any discomfort. Each treatment increase the energy level up to what you feel comfortable with and what your skin can tolerate. Even during the busy holiday season scheduling treatments in was easy. I pulled out my Flash&Go while watching t.v. and was finished before the show was over. Treatments should be scheduled in two-week intervals. Typically you will see results after the 3rd or 4th treatment, and after this, you can start treating monthly. Make sure skin is freshly shaved, no waxing allowed during this time because the root needs to be visible. Place the device over the area you want to rid of unwanted hair and hit the trigger button. Easy as can be! I have sensitive skin and could tolerate the highest setting from the start. I felt no pain, just a slight warming sensation. My experience with Flash&Go has been really great! 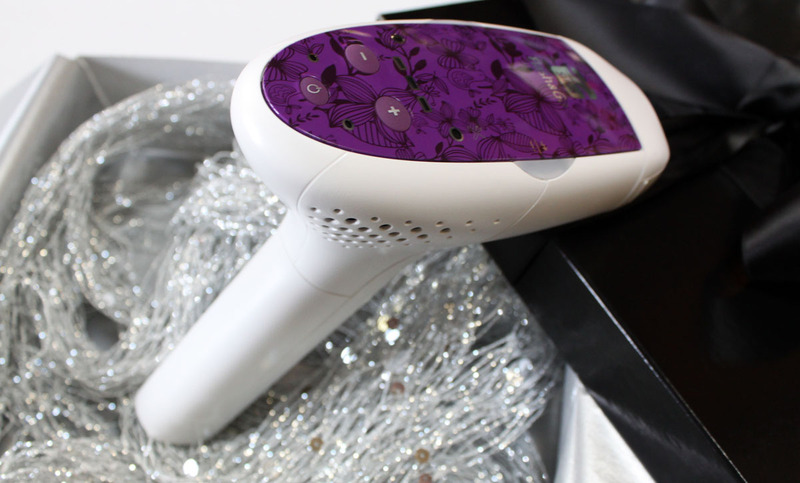 Using it feels more like a pampering session than an at-home hair removal experience. It was easy to use, not painful at all, and fulfilled its claims of removing hair. I kept looking forward to using it after seeing noticeable results after just the third use. Because it is too early to see the full results I will report back after a few more treatments. 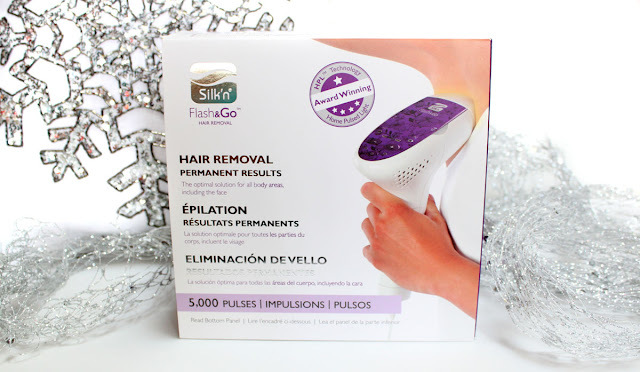 So far I am totally impressed by this quick and pain-free way of permanent hair removal. I know the ladies on my list are gonna love it too! Flash&Go is the sure to please everyone gift this Holiday. I encourage you to pick one up for yourself or as a gift while shopping in store at Bed Bath and Beyond or Kohl’s, or online at bedbathandbeyond.com and kohls.com. Not only do you get a great beauty gift but an amazing gift card deal AND a chance to win a trip to Aruba! 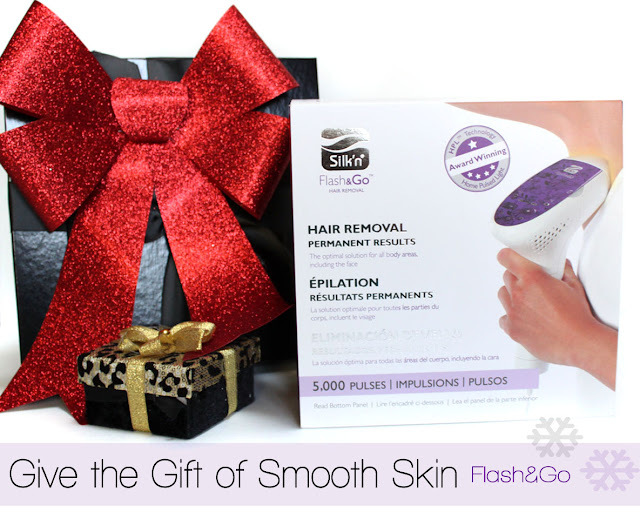 This holiday season get and give the gift of softer, smoother, sexier skin with Silk'n Flash&Go. Available at Bed Bath & Beyond and Kohl's! Let me know if you will be gifting one to yourself or to others this Holiday Season!